People can live longer without food than water, which is why water preparedness is a must. After a tornado, hurricane, flood, or earthquake, it's not uncommon for people to be advised to boil their drinking water. Having a well is no guarantee of a water supply if you have an electric pump. We've experienced that first hand, and it's not just cooking, cleaning, and bathing water you have to consider. Without electricity to run our pump we couldn't even flush the toilet! Several of the books I mentioned yesterday address water from a preparedness viewpoint, plus there are a number of lists and plans to help you get organized. This book, however, is dedicated to the issue of water safety in an emergency situation. 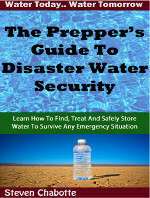 The Prepper's Guide To Disaster Water Security by Steven Chabotte is about as comprehensive as it gets. It begins with a list of disasters that can affect water supply. Then it discusses the negative effects of lack of water (dehydration would be a horrible way to die), potential water toxins and contaminants (bacteria, viruses, parasites, heavy metal contaminants, nitrates, pharmaceuticals, poisonous chemicals, etc.) The author helps you build a comprehensive water storage plan, little thought-of water sources, how to test water safety, and the various methods of water purification. Most of us probably wouldn't want to drink water treated with bleach (chlorine) but if it's between that and cholera, well, which would you choose? Includes charts for quantities of water and chlorine or iodine, and how to disinfect a well. But he also tells us how to make a variety of homemade water filters, so maybe that's a better way to go! The appendices are filled with useful resources. 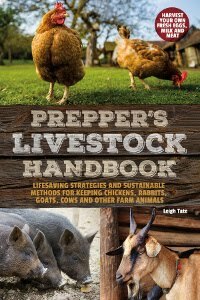 The PrepperBundle includes a couple of good books on off-grid living. While I realize most of us aren't planning to go off the grid, the still contain useful information that can be applied to a grid-down situation. Then there's this book by Lee and Joan Crain. 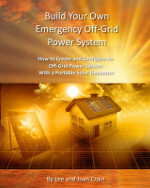 Build Your Own Emergency Off-Grid Power System: How to Create and Configure An Off-Grid Power System With a Portable Solar Generator. What is a solar generator? Technically it's a battery centric, electricity storage device which utilizes solar panels to collect the energy and store it in batteries. If you are thinking about getting a generator, you may want to look into one of these. No need to store gasoline or diesel fuel! The authors tested two such generators and the first part of the book is an honest evaluation of each. It then details how they evaluated what they could run on each, how they prioritized their needs, and how they worked out solutions for those needs. A very interesting read for anyone wishing to evaluate their own electricity usage. 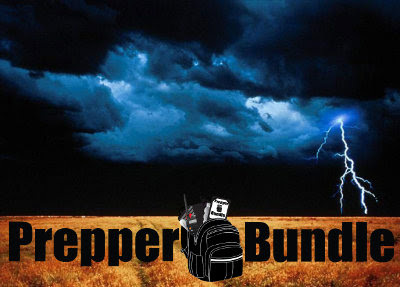 The PrepperBundle will be on sale through Monday, June 12 at Midnight (Central) You can choose online access to download the bundle for $29.97, the flash (thumb aka USB) drive option for $54.97, or both for $59.97 (one for you and the other as a gift). Speaking of water to flush toilets....The Humanure Handbook is a very good read. It really makes very little sense to use precious water to flush a toilet. 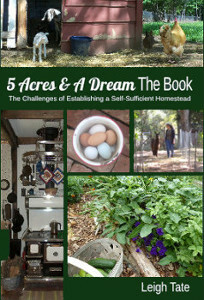 Susan, that sounds like an excellent resource, especially for those who are working toward a self-reliant lifestyle. Bettina, good to hear from you! It would seem that especially with using only collected rainwater that conservation in the household would be a must. We replaced old toilets with low water flush, but they still use quite a bit. Thanks for the link! Looks like a great resource.